An alternative route system has been prepared, following the implementation of the expansion and even-odd extension trials from July 2-31, 2018.
" 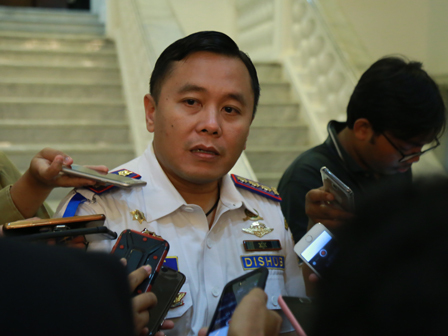 Road users are appealed to be able to adjust the traffic rules"
Jakarta Transportation Dept. Vice Head, Sigit Wijatmoko mentions alternative route is started from Jalan Perintis Kemerdekaan - Jalan Suprapto - Jalan Salemba Raya - Jalan Matraman and so on. It is continued to Jalan RE Martadinata - Jalan Danau Sunter Barat - Jalan HBR Motik - Jalan Gunung Sahari and so on. There is also Jalan S Parman - Jalan Tomang Raya - Jalan Suryo Pranoto/Jalan Cideng, etc. Next are Jalan Warung Jati Barat - Jalan Pejaten Raya - Jalan Pasar Minggu - Jalan Soepomo - Jalan Saharjo and so on. It is also continue to Jalan RA Kartini - Jalan Ciputat Raya and so on, including Cipampek Toll Road - Jalan Sutoyo - Jalan Dewi Sartika and so on. "Road users are appealed to be able to adjust the traffic rules. Including obeying traffic signs, attendant instructions and road safety priority," he expressed, Wednesday (6/28). It is prepared to smoothen the implementation of the expansion and even-odd extension trials in the field. "We ensure accessibility and service to the people to stay active," he said. According to him, odd-even extension is done to smoothen the upcoming Asian Games and realize the target time of athlete's journey from homestead athletes to the match venue as required. "It will be applied from Monday until Sunday at 6 AM-9 PM," he stated.